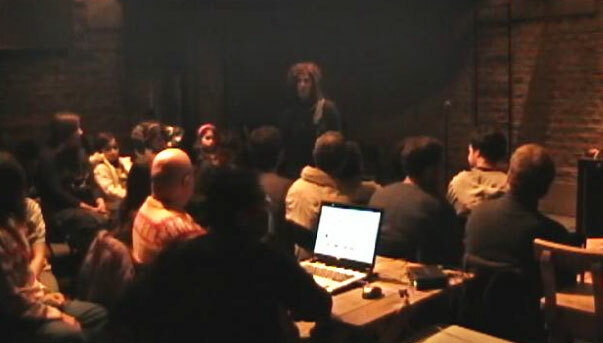 Images and sounds from Buenos Aires transformed during performance at Instante Sonoros, Domus Artis, Buenos Aires. For this performance we developed a system for generating liquid video feedback textures using images we recorded in Buenos Aires as input. The visual feedback sequences were linked to audio transformation layers in the four-channel surround sound field.